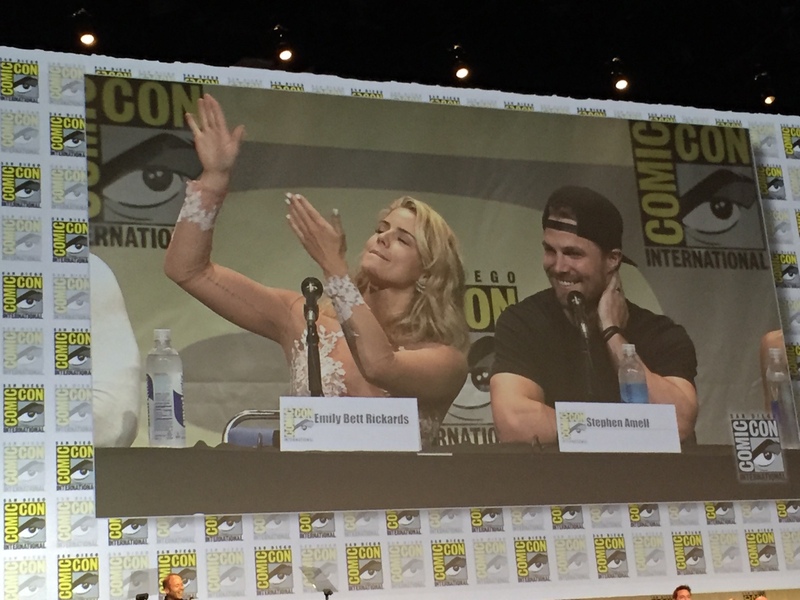 Oliver and his Sugar Mama (Emily making it rain). . HD Wallpaper and background images in the Stephen Amell & Emily Bett Rickards club tagged: smile19 stemily stephen amell emily bett rickards san diego comic con 2015.